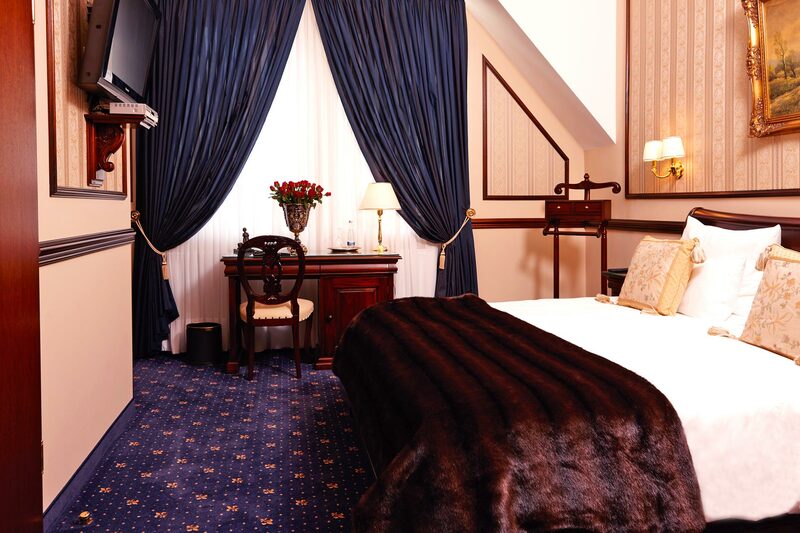 Experience in our classic double rooms with all the charmes of our house the Kingsize Bed, ceilings up to 4 metres high decorated with stucco applications. 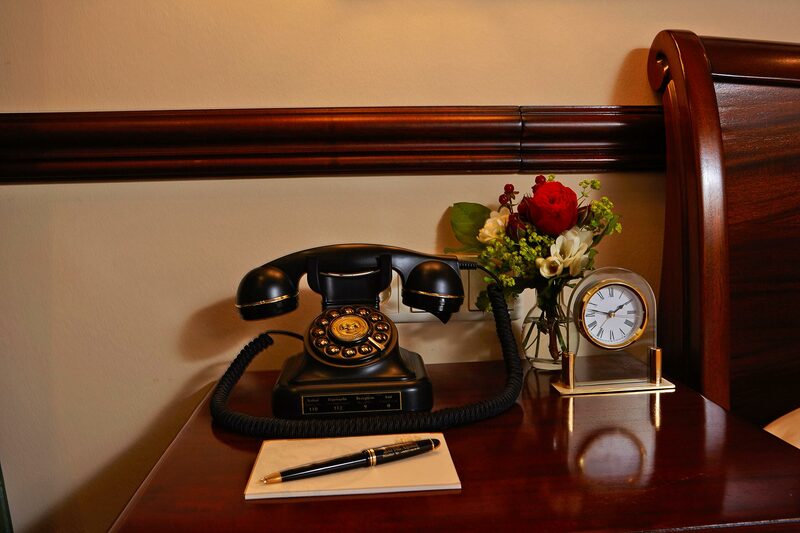 Enjoy using telephone and Wi-Fi at the desk provided for personal or business matters. 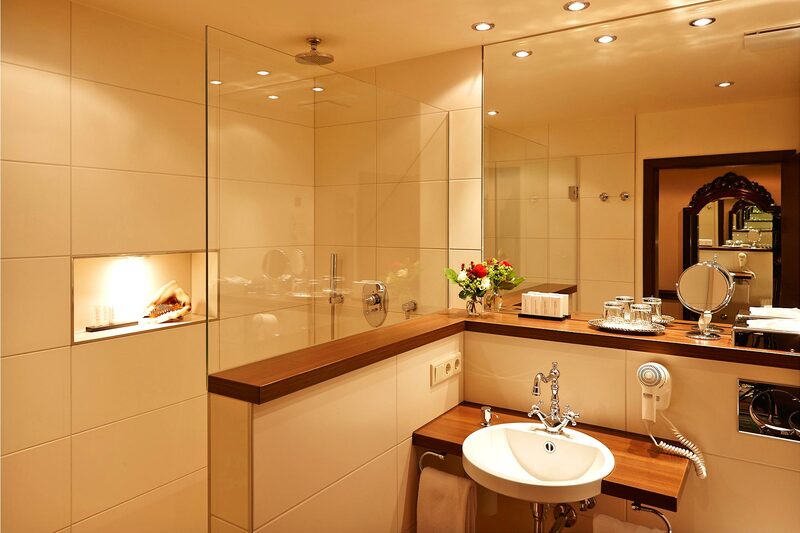 Afterwards, relax on natural stone in the wonderful rain shower, fully equipped with the most modern conveniences. 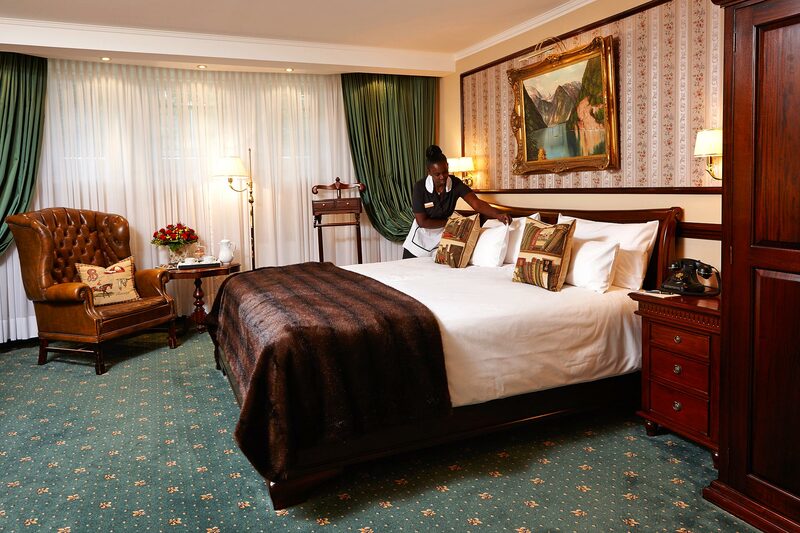 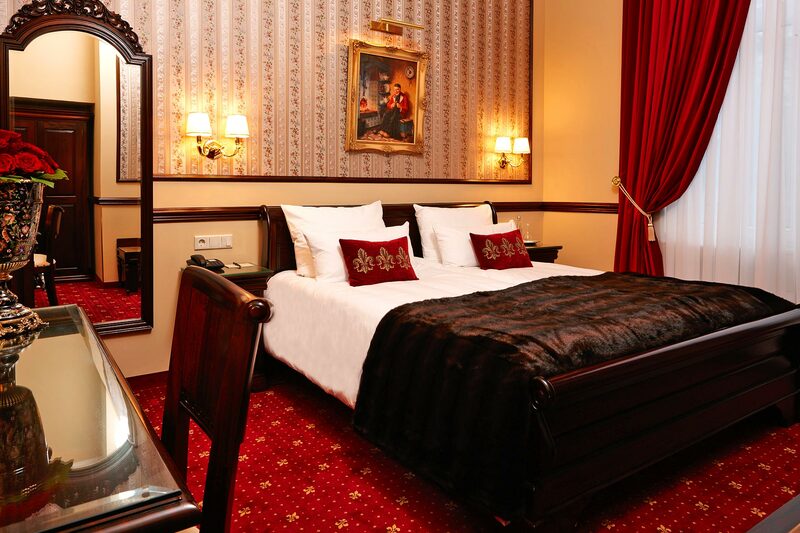 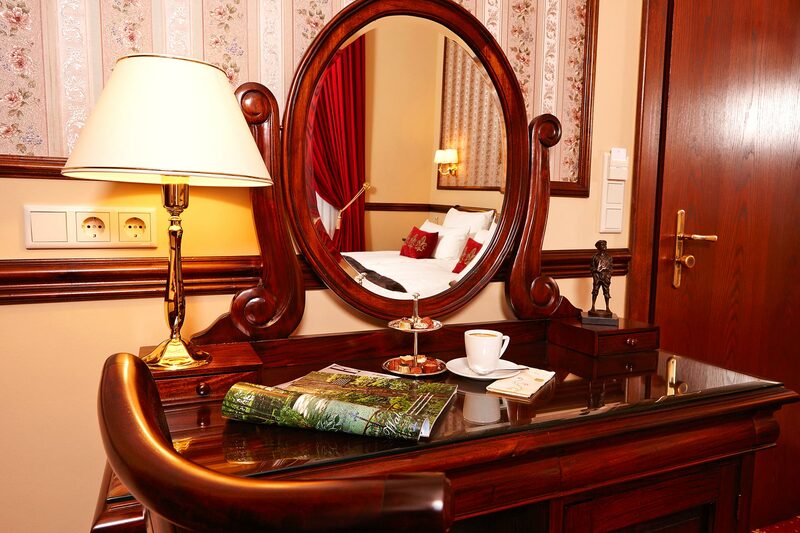 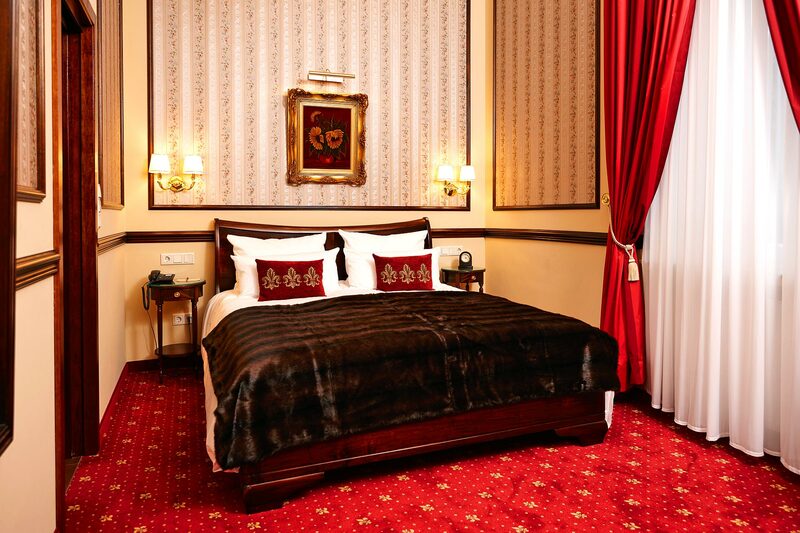 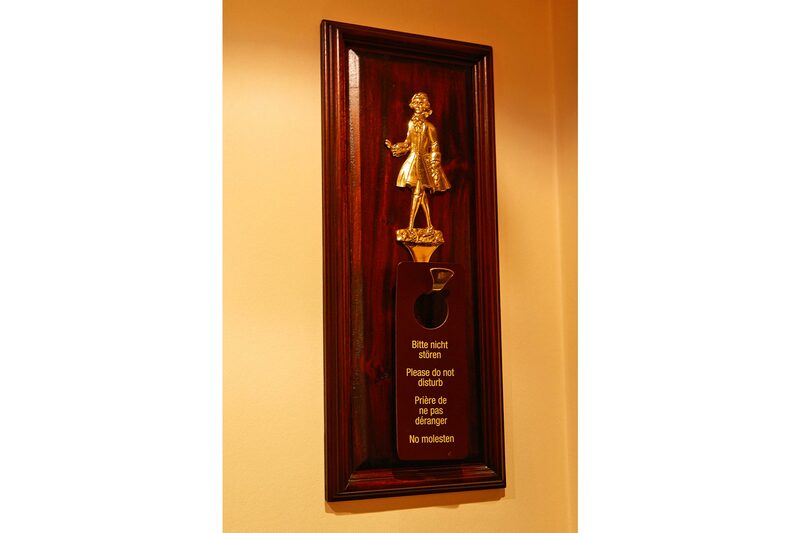 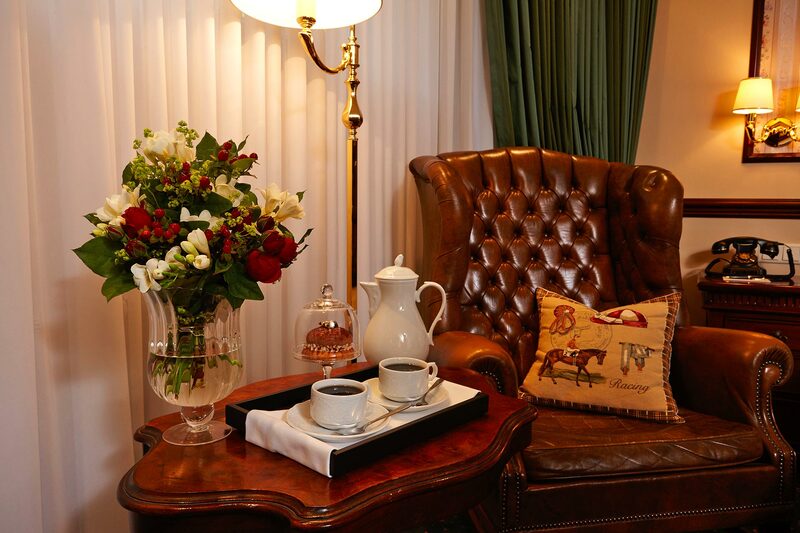 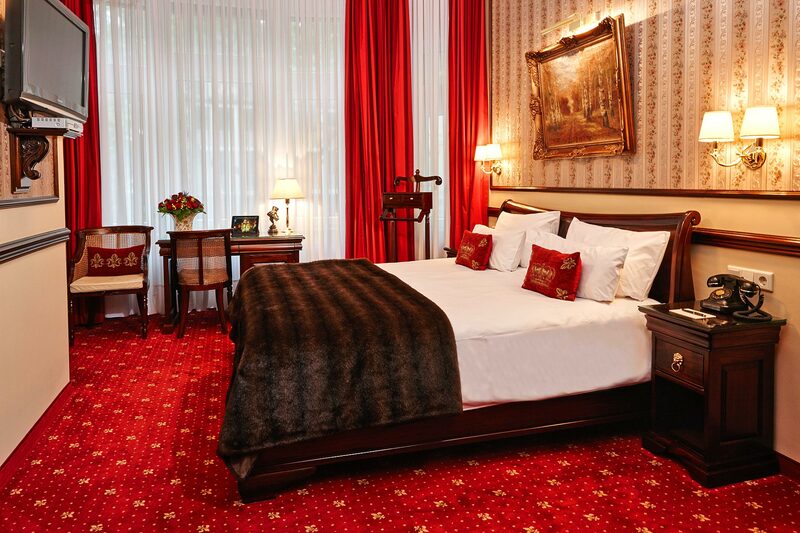 Our rooms are lavishly furnished in Victorian Style, so each and every room has its complete own individual character.